At Artisan Cabinet Co., we understand that choosing to move forward with a new kitchen cabinet or bathroom vanity project is an investment. We are here to make that investment easier for you, not only by offering you the ability to create the cabinets of your dreams, but also by offering you reasonable payment plans. With Our Remodel Financing, You Now Have Options! Finance only what you need: If you’ve already budgeted a certain amount for your project, and you have that amount saved, you can make a decision as to keeping some of that money in your pocket now. Or you could opt to get the best cabinets available and use financing to make up for any deficit. Financing the whole project: You could also opt to keep all of your hard-earned cash in your own account now. We offer full financing for all project sizes. If you’ve been considering a kitchen or bathroom remodel that includes updated storage, cabinets or vanities, now may be the time to reach out! 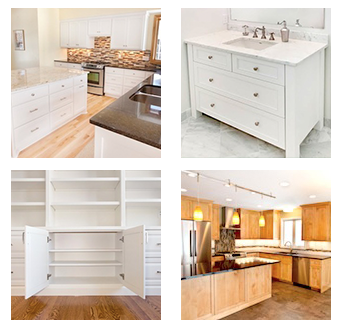 Learn How to Finance Your Custom Cabinet Project—Call Us! If you’d like to learn more about our home improvement financing program, pick up the phone and call us at 952-737-7088. You can also reach out to us online; one of our team members will be in touch with you shortly.